Woot woot, I’m so stoked to write this one! We chatted with Greg Gomez III, and if you haven’t heard of him, he’s a 7-figure earner in the internet/network marketing space. After over 7 years of cold calling, Greg has mastered his craft as a prospector and closer, in network marketing and in corporate sales, and has literally made over a $1mil soliciting cold calls! You’re about to find out the 6 key questions to ask a prospect, which allowed Greg to frame any opportunity presentation and have a closing ratio of 90%. These 6 positioning questions will help you get to know your prospect better, show them you care, and practically “close” them into your business before they even see what it is. Write these questions down and keep them close, because it will help you get to know what they have and haven’t tried in the past, and open their mind to your opportunity BEFORE you even present to them. #1. What is the challenge? First, make sure you’re “in the moment” – present – listening to them. If you’re skilled listener, you’ll feel people’s energy about certain things in their lives, and know where to go. They’ll complain about their health, their finances, a job/boss that they hate, etc., etc. Find out what that is. Don’t “pounce” at just the first one. Learn the rhythm of, “tell me more”. #2. What is this challenge keeping you FROM? Get curious. Dig deep. What is the challenge behind their challenge. A crappy job that someone hates may be keeping them from spending more time with their kids, or spending more time outdoors, but ultimately it is not time/money that people want. It’s more about what time and money would mean for their lives. If you don’t quickly pounce into your shpiel and stay interested and curious, you’ll get them in a safe space to talk about their Core Values, and the things that they deeply desire. They have a sick parent in another state, and they wish they could have more time to take care of them. Or maybe they are determined to quit their job so that their kid isn’t stuck at day care all day, and they wish they could spend more quality time with them in the mountains. Do they need more money so that they can finally go to Hawaii with their family like they’ve always promised but never delivered, and it weighs heavy on their heart? I get my prospects to imagine what the abundance of time and money is going to mean for their life. The more crystal clear you get with the big dreams, the more motivation you will have to take the action required to achieve your goal. #3. What other solutions have you tried? What other events, programs, products, mentors, have you invested into? The answer to this questions teaches you how serious they are, what patterns they may have, and even what price range they’re in. Have they paid money for past solutions or is it free stuff they’ve done? Take notes. The more curiosity you have here, the more you’ll be able to explain how your solutions are what may have been missing. #4. What did you like about that solution? What WORKED for them? Be mindful and present, so you can “catch them” and interrupt a pattern in case they try to steer toward the negative side of things, (talking about what they DON’T like), but you need to find the positives first. #5. What didn’t you like about those solutions? This is when you can really “empty their cup” and allow them to vent about the things that they didn’t like about whatever they’ve tried in the past. #6. What are you hoping for in your next solution? Providing HOPE is an extremely powerful thing, so when you ask this, it brings back their big dreams and goals. It is important to see what they’re hoping for in the perfect solution, and what would that mean for their life? How would that make them FEEL? Asking these 6 questions makes your prospects feel heard. They will feel validated and know that you actually care and want to help them. And now you can help them with their problems. You are finding your prospect’s truth. You’re tapping into what is most important in their lives. The things they like, the things they fear/hate, exactly what motivates them, and what they dream about. People don’t buy because of what we want to sell. They buy because of what they want to buy. Imagine talking to someone caring enough to take the time to ask you the right questions that would allow them to quickly and easily solve your problems, instead of trying to “pounce” and sell you their “stuff”…. Would you be more likely to trade your money for the right solution and buy from them than from the guy who calls twice a day trying to sell you stuff that you initially don’t think you care about? Of course, right? Me too! Now, once you’ve run through those 6 questions, your prospect is ready to enroll themselves! That’s freaking amazin’, right? ! hahaha! Loved that! Make sure to share with your team, so they can nail it too! P.S. 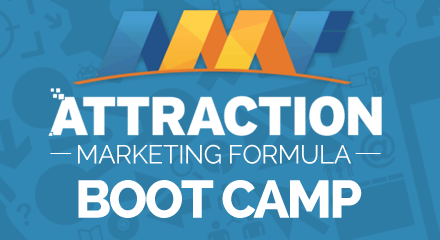 – If you’ve been struggling to find interested customers or business builders for your Network Marketing business, and you’d love to build your business online with less rejection, click here to get this free 10 Day Boot Camp on “Attraction Marketing Formula” that helped me to finally stop hounding my friends and strangers at restaurants, and finally start using the internet effectively to build my business.